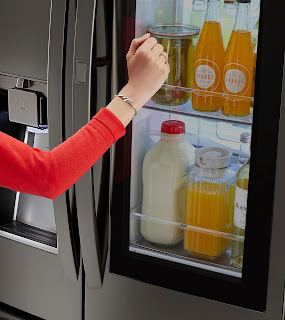 LG’s InstaView™ Door-in-Door® refrigerators’ tinted glass panel lets you knock twice to check out what's in the frig and choose items without opening the door. Which decreases cold air loss and helps keep food fresh longer! I love the energy efficiency will save money on our utility bills by lessening the time my family spends deciding what they want with the door wide open. 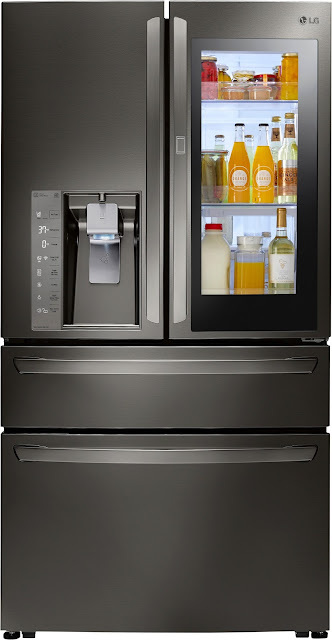 I really like the modern style with a sleek design, tinted glass panel, fingerprint smudge resistant surface of this refrigerator. There is a variety of large capacity models for large or small families that give you a lot space and keep food conveniently organized and easily accessible.